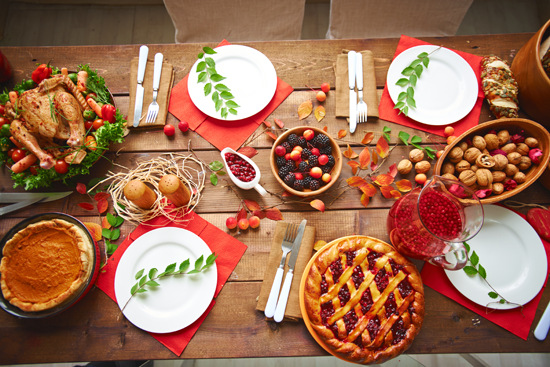 As Thanksgiving and the holidays near, many of you are in menu-planning, pie-baking, and cookie-making mode. 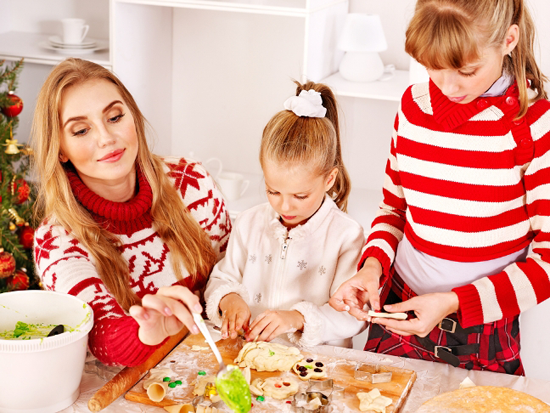 Whether you're a whiz in the kitchen or not, festive parties and family gatherings are the perfect opportunity to test your culinary skills! There's nothing more inspiring than comfort food! My Favorite Things has some fantastic products that could quite possible make you work up an appetite. Let's take a look at some delicious projects that will inspire you to create designs centered around holiday food preparation! 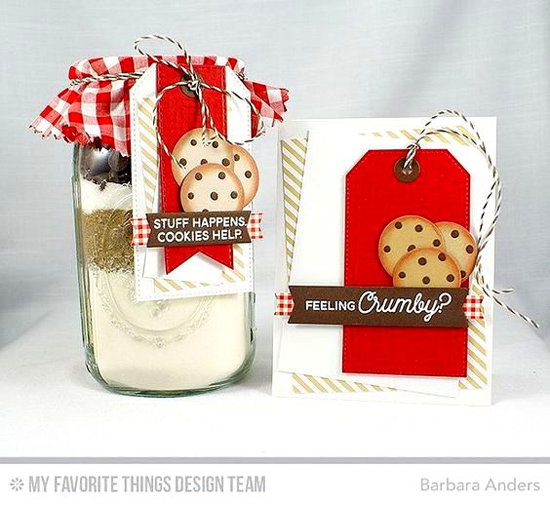 Barbara is feeling gifty with the You're the Milk to My Cookie Die-namics and Cookie Crumbs stamp set. 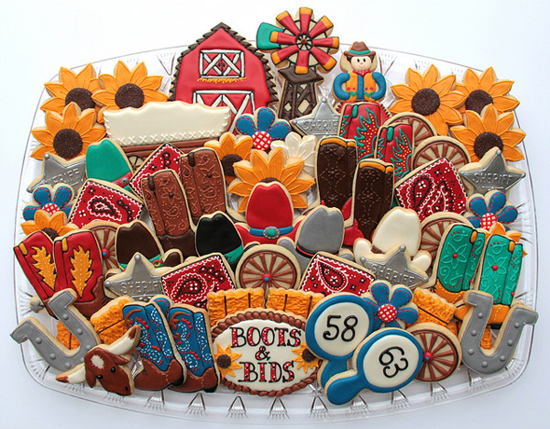 You'll love all the fun baked goods themed ways that you can use this set! 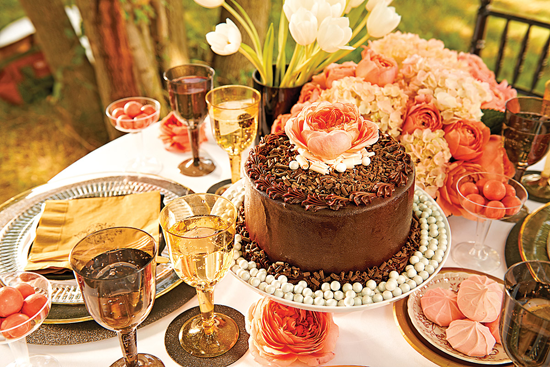 Stephanie "baked" up this delicious fall confection with the help of the Interactive Birthday Cake Die-namics. It sure does look delicious! Francine says, "Bon appétit!" 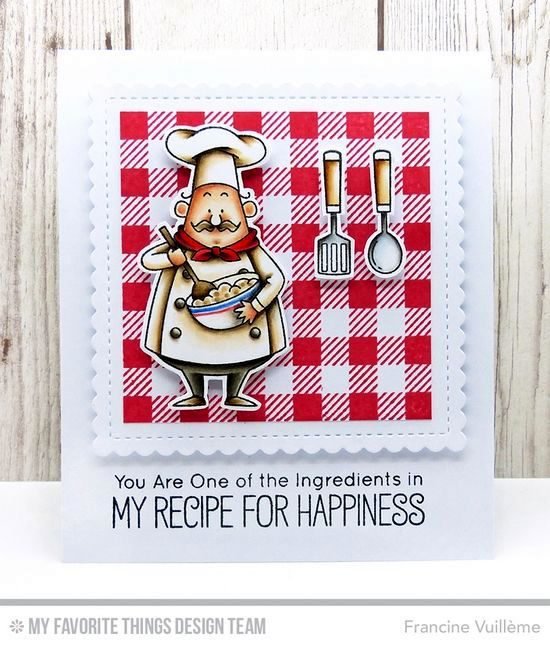 with this adorable design created with the Recipe for Happiness stamp set and Die-namics. Grab a cup of tea and feel the warmth of a kitchen filled with happy baking and delicious smells. 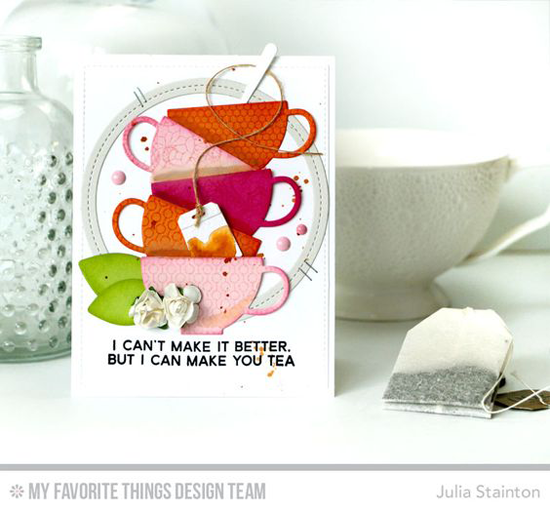 Julia's card using the Cup of Tea stamp set and Tea Party Die-namics is a pretty reminder that tea makes everything better. Grab a thick and delicious slice of cake for dessert to reward yourself! 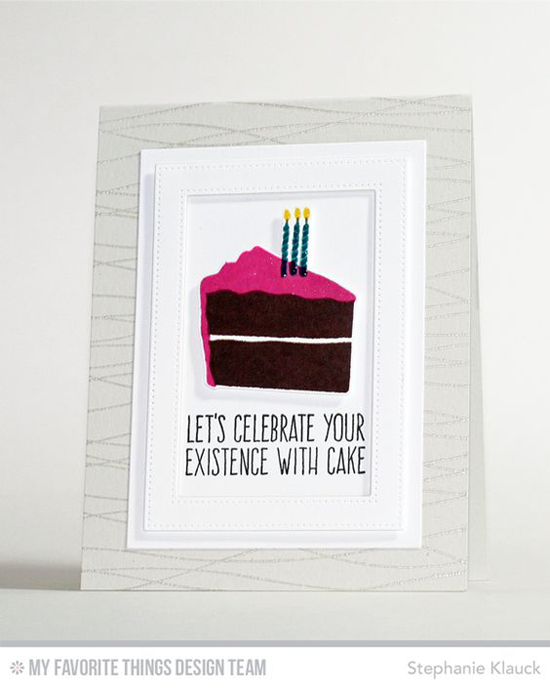 The Piece of Cake stamp set looks yummy in chocolate on this delightful design from Stephanie. Before you go, take a look at a few of the yummy things you can buy at the My Favorite Things online store! Simply click on the photo to be taken directly to the product. If the product is currently out of stock, you can sign up for an email notification once it's back in stock! 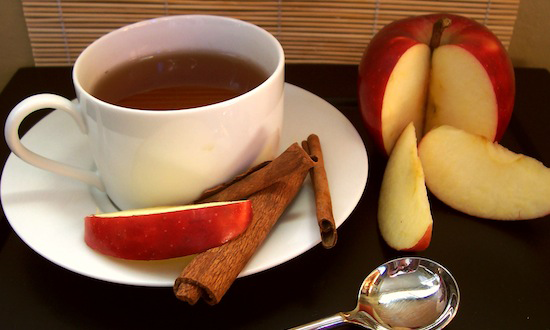 Here's to a creative (and delicious!) weekend!